"I have been going to Dogwood for 6 or 7 years and have never had a negative experience! My young golden retriever goes regularly to Daycare and can hardly wait to get in the door when I drop her off! She runs to greet the reception staff and drools for her cookie! Just look at some Facebook pictures and you will see what a great time the dogs have! She comes home tired and happy! The staff know her and always let me know if there were problems during the day! A very caring, supportive group! Wouldn't take my girls anywhere else!" "Today we are the proud companions of a gorgeous Aussie mix, Hildy. She gives us unconditional love and boundless joy – but she was not always this way. In 2009, when we adopted her from a kill shelter, Hildy was [a] terrified creature who would not look at us or eat from our hand. She clearly was a dog who had known no love. We were at odds [regarding]what to do with her. After several trainers said she was a hopeless case, we decided that perhaps she needed daily care with professionals. We luckily chose the caregivers closest to our home, Dogwood Daycare! Within two weeks, Hildy was looking at us and taking food. She even wagged her tail a little! No words express our deep and ongoing gratitude to the Dogwood staff for making our treasured Hildy understand that humans, too, can love." "We have always felt welcomed at Dogwood. Our two dogs both enjoy how sweet the staff and doctors are. The facilities are so clean! It is also very spacious so it makes it easier to bring our two dogs in who don’t have the greatest leash manners. One of our dogs had knee surgery on both legs and Dogwood was absolutely amazing with it. Not only did they give our little guy state of the art medical treatment, they also explained everything to us in great detail and were just a phone number away when we had worries or questions about his recovery. Having two Cocker Spaniels who need grooming often, it is not only convenient to take them to Dogwood, but it is a pleasant experience as well. They love their groomer, and she does a perfect job making them look and smell great! The Resort it so nice! Our dogs always hate when we travel, but they seem to enjoy their stay at the resort. They allow them to stay together and to bring a blanket or toy from home to help them relax. It is a wonderful boarding facility and the staff seems to truly love our pets. I am one to worry about our dogs when we are gone, but when they stay at Dogwood I am completely confident they will be comfortable and receive excellent care and love!" "Our first visit to Dogwood Veterinary Hospital [& Pet Resort] was about 2 weeks after they opened. We stopped by to get information about the services and staff. Dr. Linda Sands was there and took us on a tour of both the [resort] and medical facilities. 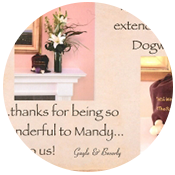 We were impressed with the practice and transferred care of our dog and cat to Dogwood. Little did we know then that Dr. Sands and the staff would become a part of our “extended family”. Our dog, Mandy, who is almost 13 years old, developed skin and joint problems in mid-2010. Since then, we have been dealing with a chronic auto-immune illness that takes regular monitoring interrupted by acute flair-ups and lots of medication that changes as needed. 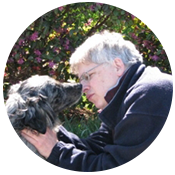 Dr. Sands has worked with us as a parter in keeping Mandy with the best quality of life we can. She does research, confers with other veterinarians, and is always aware of the cost considerations of the treatment. Everyone on the staff has been terrific. We wouldn’t think of taking Mandy anywhere else for medical treatment or kenneling. Many thanks to our “extended family” at Dogwood! " 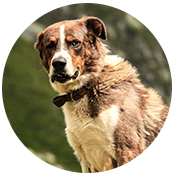 "Their boarding & daycare services are excellent and their groomer is the absolute best! All of their staff are energetic and kind, and you can tell they all have real compassion and love for animals. They're also very flexible, we've needed very last minute daycare recently (like, morning of.../no notice) and they've been incredibly accommodating. We also had a situation recently where my dog was having a bad day and had a little disagreement with others in daycare and I was so impressed with how their staff handled it, very professionally and calmly, and with the utmost concern for everyone's safety. Their groomer is also wonderful, we have a dog with a very full coat who needs regular grooming. We've tried several other groomers in the area, all similarly priced (some more expensive) and no one can even come close to the beautiful work she does. Our dog loves her and he looks amazing after she grooms him! He even smells wonderful! 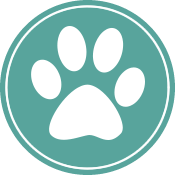 We haven't used their veterinary services because we've been at another vet since before Dogwood opened and have been happy with them. But if that ever were to change, I would definitely go to Dogwood." "I had a wonderful experience taking my cat to Dogwood. After a terrible run around with another veterinarian hospital that charged me way too much to just see what could possibly be wrong with my cat and clearly did not care about anything but the business side of things, I took my cat to Dogwood. I was so amazed by the care they showed my cat and also me. I know that vets are caring for our animals and not us but in sensitive circumstances it is so great to have kind hearted professional people around. My cat had previously suddenly stopped eating which, after taking her to the Triangle Veterinary Referral Hospital in Durham, we thought was because of discomfort from her teeth falling out. I called Dogwood to see if they could see her as soon as possible and they were so accommodating. They called Triangle Referral Hospital to get her files and were able to get her in the next day for a full dental exam and extractions. Dr. Sands was the veterinarian doing the procedure and throughout the day kept in contact with me with updates of what was going on. My cat was in critical condition and I appreciated how much she cared and was willing to take the extra time to call me every step of the way. My cat was cared for so well. Unfortunately it turned out that my cat had mouth cancer and after a month of caring for her and keeping her as comfortable as possible I knew it was time to euthanize her and I chose to take her to Dogwood where I knew I would be treated with respect and my cat would be comfortable in the end. All of the staff members were so amazing and it still makes me tear up because I appreciate that so much. Making the decision to euthanize your pet even when you know it is time is so hard. Dr. Sands helped me know I was making the best decision. She helped my cat feel at ease as well as me. She clearly cares about her patients so much and does a great job at what she does. I'm so thankful to have had this experience in such an unfortunate circumstance." 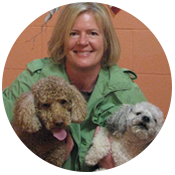 "I take my miniature poodle to Dogwood for daycare once a week for socializing with other dogs and people. She loves going! When I travel (2+ weeks at a time), i know my dog is in great hands at Dogwood for boarding. While boarding, she also attends day care, gets cuddles and I have her groomed by Heather the day before I pick her up. My dog comes home happy and in great health. I can't say enough good things about my experience and my dog's experience. All of the staff are friendly, knowledgeable and make us feel welcome." 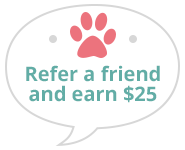 "I have been taking my two dogs to Dogwood for daycare twice a week for 2.5 years, as well as periodic boarding. The daycare service has been a lifesaver. Not only do my dogs get ample exercise, they get socialized with other dogs and humans. That part has been invaluable for my uber-shy, people-weary Australian Shepherd. They have made tremendous strides in bringing her out of her shell. All the front-desk staff, resort staff, and vet techs are phenomenal, and you can tell they genuinely love their doggy clients. I also have no qualms about boarding my dogs here, since the dogs know and trust everyone, and consider Dogwood as their second home. My proof that my dogs are comfortable while being boarded is that my scaredy dog actually eats all her food. At all other kennels I have had to leave her in, she just starved herself. Vet services may seem a little expensive, but they are comparable to other vet clinics in Chapel Hill (believe me, I shopped around). It's just a pricey area, I guess. Both of my dogs have injured themselves during playtime, as will happen on occasion. (I am lucky it only happened twice in almost 3 years). One dog tore his toenail, and the other hurt her ear. The vets saw to both of them immediately, and when I came to pick them up, in both cases, they were bandaged up and comfortable, and were sent home with pain meds at no extra charge. The resort staff watches the dogs very carefully and noticed those injuries immediately. The amount of time that the dogs get in actual playtime seems to be too little for some of the previous commenters. All I know is, I have two medium-to-large size dogs that are very athletic and energetic, and they are dead tired when they come home from daycare. I do not hear a peep out of them until the next morning, and even then, they don't exactly spring out of bed. However much amount of time they get to play, it's more than enough. To me, daycare isn't just about the amount of playtime; the dogs are also getting to experience new sights and smells and faces, which is mentally stimulating. And they get to see their most favorite human friends, the awesome resort staff." "Molly and PeeWee know, as soon as I get out the special blankets and the bag with their Dogwood tags, that they are coming to stay with you and get pampered. They run in circles and race to their leashes. Once they are at the [resort and spa], they enthusiastically greet the staff and head back to their room. I greatly appreciate that they can be boarded together and that everybody understands their special needs. It is an honor and a privilege to recommend you and your practice. Thanks for everything you do for me and my family members. I always feel compeltely confident that you and your staff will treat them as if they were your own family members, with great care and concern." "On the same day in May of 2009 both my husband, Jim, who is now okay, and my brother, Mike, were diagnosed with cancer. The next month Carlie experienced a severe E. coli infection while studying abroad in Peru. Having our daughter also ill further weakened me. I ended up with shingles that summer. MiniMe, our then six year old cat developed diabetes. The health of Sally, our then almost 15 year old German Shorthaired pointer was starting to show clear signs of fading. 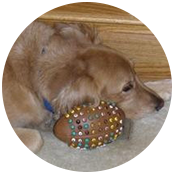 The only one that seemed healthy was Ralph, our then five year old Golden Retriever and two-time cancer surviver. Life was pretty stressful and intense for us as a family. I cannot overstate how important the insight, friendship, support, and love of Dr. Linda Sands, of Dr. Michelle Pineda, of Tim, and of the rest of staff at Dogwood became to us that summer. Since then Linda has become one of my most cherished and trusted friends. In late June of 2011, Sally, at almost age 17, took a hard tumble a day after Jim left for a long business trip. Sally’s body was shutting down. But I wanted to keep our sweet old girl, at least until Jim could return home. The staff at Dogwood knew I was extremely stressed and was still raw inside from the loss of dear Mike. Linda, Michelle, and Tim could not have been kinder or more respectful to me, to Carlie, to Jim, or to Sally. Together with Carlie, Linda literally supported my spine that warm and sunny afternoon and helped me to put Sally’s needs above mine. She and Tim physically, emotionally, and spiritually treated our old girl gently, compassionately, and sweetly. Ralph, our big boy, was also with Sally at the time of her passing. This was Linda’s kind-hearted idea. I know that Sally would have suffered longer had Linda and Michelle not lovingly talked about Sally to me. It’s doubtful that we would have had Sally in our lives for so long if it weren’t for the excellent preventative and medical care she received as a Dogwood patient. I strongly suspect that Ralph would be long gone if it weren’t for the excellent preventative and medical care he continues to receive there. Ralph is now a three-time cancer surviver, he has piggy back seizures about every 10 days, and he is becoming neurologically impaired, as evidenced by some loss of control of his hind legs. 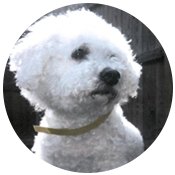 Sill, Ralph is quite active, happy, playful, extremely alert, and shows no signs of physical pain. I am confident that Linda and/or Michelle will also talk lovingly about Ralph to Jim, to Carlie, and to me someday down the road, if Ralph ever needs it. Of Linda, of Michelle, and of the staff at Dogwood, they don’t push. They don’t pull. They walk at your side and lend an arm when and if you or your pet is in need. " 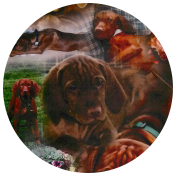 "It has been four months since our beloved Vizsla, Lady, died and the pain and grief of her loss is as intense today as the day Dr. Sands called us to tell us that she had passed away peacefully in the night at Dogwood, the place she loved so dearly. Lady gave us nearly 14 years of the unconditional love that all of our treasured pets provide in our lives. She also gave that unconditional love to you and Staff and Dogwood because all of you bestowed that kind of love and affection upon her. It is difficult to imagine placing her under the care of any other group of medical and pet care staff. The love and passion that you have for your profession is reflected in your entire staff. Lady lived a long, healthy and happy life. Whenever we had a medical question, you always answered completely and patiently. Options were always presented. Our best interests and Lady’s comfort, health and welfare were also those of the entire staff, which treated her as if she were their own beloved pet. Lady always enthusiastically greeted everyone on the staff as she greeted us. There was not one instance where we ever questioned the comfort and care which Lady received whether medical or routine. Lady was healthy, happy and playful to the end of her life and we attribute much of that to you and your staff at Dogwood. The heartfelt and compassionate way in which we were treated by everyone at Dogwood upon Lady’s death was incredible. A private visit to you, the doctors, and the very touching notes we received from all of the staff after her death were not only a tribute to Lady, but were a wonderful start to the healing process. You and your staff are first and foremost, professional in every way one can imagine, but more than that you are wonderful, caring people who treated our beloved Lady in ways that are beyond comparison. Though Lady can never be replaced in our lives, you can rest assured that we would not consider any other hospital or pet care organization than Dogwood for another precious companion." "Our two Bichons, Fred and Chester, I believe, could be considered two of the early “boarder members” of Dogwood’s [resort]. Through the years they came one and then two days each week to “Doggie Daycare” where they happily greeted and socialized with other dogs. The staff was always helpful, attentive and interested in each animal. I cannot say enough about the care, knowledge and skill of the veterinarians. The first time I had a tour of the premises I was impressed with the cleanliness and space [of the] kennel area, play area and medical facility. One might consider leaving the pets at home and making a reservation for oneself at the Dogwood Spa!" 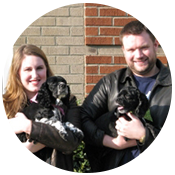 "My husband and I discovered Dogwood Veterinary Hospital & Pet Resort about 3 years ago. We were building a new home nearby and neeeded to find new veterinary services for our 3 older dogs. We sotpped by one day to inquire about their services and from the moment we walked in, we felt welcome! As we were given a tour of the clinic and pet resort, it was obvious how proud the staff was of the facilities and how committed they were to delivering excellent, patient-centered care. We were hooked! One of the best aspects of Dogwood is the personalized, individualized attention and care given by all the staff. You quickly realize this is an organized team and your pet and you are very much a part of that team. The respect for each other, whether it is Dr. Sands and Dr. Pineda, the veterinary nurses, the resort staff, or the front office staff, translated into the excellent care they give your pets, and they give to you and your family. They genuinely share your joys and feel your sorrows. We feel very blessed to have found such wonderful care for our old girls!" "I have loved having my dogs at the daycare offered at Dogwood. My dog, Beckett has been a weekly visitor for the past 3 years and will joyfully race to the door when we arrive for daycare. About 6 months ago, I adopted a rescue dog, Alice. Alice was very timid and not sure of herself with other dogs. Beth at the daycare really took the time to make sure that Alice would be acclimated and comfortable in the daycare setting with her brother, Beckett. If it had not been for Beth at the daycare, I'm sure Alice would not have been happy to be there. I am so grateful for Beth and her care and expertise in helping my little timid Alice get socialized to other dogs. Alice loves daycare now! And I have never had anything but helpful and kind responses to any questions I've had from the front desk and the daycare staff." "My Norfolk Terriers and I love everything about Dogwood Veterinary. The staff has been caring for my boys since they were puppies. They have had their teeth cleaned, groomed, wellness visits, occasional emergencies and all have been treated with the upmost care and love. Every procedure has been explained in detail and alternatives offered when possible. The boys enjoy daycare and extended stays so much that they run to the car when they see me with their camp bag. The location is good and the parking is safe. Yes, it is on the pricy side but it is definitely worth the attention and care your "children" will receive!" Mother of 2 Happy Campers! 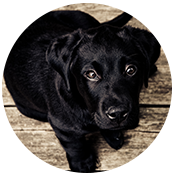 "Dogwood is our Vet, daycare, and overall resource for all things related to our new puppy who is now 8 months old. They are convenient to our home and work. We have seen both Vets who have been excellent. The staff are friendly and have knocked themselves out to meet our needs and assist in any way they can be it questions and concerns or medical issue. Our puppy loves going to the day care and runs to enter when we arrive wagging his tail. Dogwood is our Veterinary home."